Today, I have no voice. I have laryngitis from a respiratory bug and sinus infection. My thoughts travel back to a recent time of respite I had. At the Englehart Nursing Home in northern Ontario I see a woman who uses a communication device to speak the thoughts she cannot say. Staff take time to talk with her, to give her that vital interaction she needs not to feel disabled, but rather loved, valued, and a part of a caring community. This woman is singing a song from her heart without a voice. My laryngitis is temporary. I will speak again. I will sing again. But this woman will never speak. She will never enjoy the blessing that comes from being able to speak without a communication device. I commend her. She presses on. She is still fighting. She is being a light in all the sadness and darkness in the lives of those around her. Will I have times of sadness because I can’t sing? Yes. It lifts my spirits. Singing is one of the ways I talk with my Lord and He talks back to me in my heart. I get inspiration from singing to write song lyrics the Lord puts upon my heart to share. There is a young man who wrote many songs that we sing without a voice. We read them in the Bible.They are the songs of the Psalmist, the hymn writer, David. I wonder if David was alive today what those songs would sound like, if he was to sing them to us. They speak of a journey of a man’s search to know God and serve Him. They are songs of love for his Lord. David tells us in his many psalms a story of how he stumbles so many times, but he gets up and learns as he follows God and grows closer to Him. David has been called the man after God’s own heart because there is a longing deep inside his soul to know God in his heart, not just his mind. Even as he commits adultery with Bathsheba and then gets Bathsheba’s husband, the soldier, Uriah, drunk so he will be sent out to die in battle and have the beautiful Bathsheba all to himself, he never stops loving his Lord. He expresses that love in the many psalms that sing to us and reach us right at the point of our deepest need, such as Psalm 51. David cries out for a heart that is cleansed and made pure. Many of us sing that song without a voice as we feel David’s journey with sin speak to us in our own struggles with it. The great news is that through Christ’s death on the cross our Lord sings His song of what it means to believe and know Him. It is God’s song of salvation. I thank God for showing me that woman who needs a communication device to speak her every waking moment. She sings her song of love without a voice. No matter how much terror David was in fleeing King Saul, he could still talk. He could write down everything on his heart. This woman’s life teaches me how I can sing a song without a voice. It is the song of life that we all sing through a smile, a hug or that pat on the shoulder we give others for a job well done. They are songs we sing from our hearts without words. 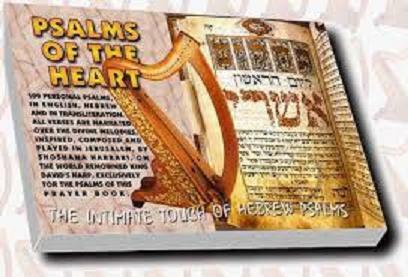 They are beautiful psalms that express our feelings for our family, friends and colleagues. May you be blessed as you see a beautiful woman of God perform Create in me a clean heart in American Sign Language (ASL). She reminds all of us that the deaf can sing their own song without a voice. Lord, help us all to sing our own song of love today and every day, even if it is without a voice.